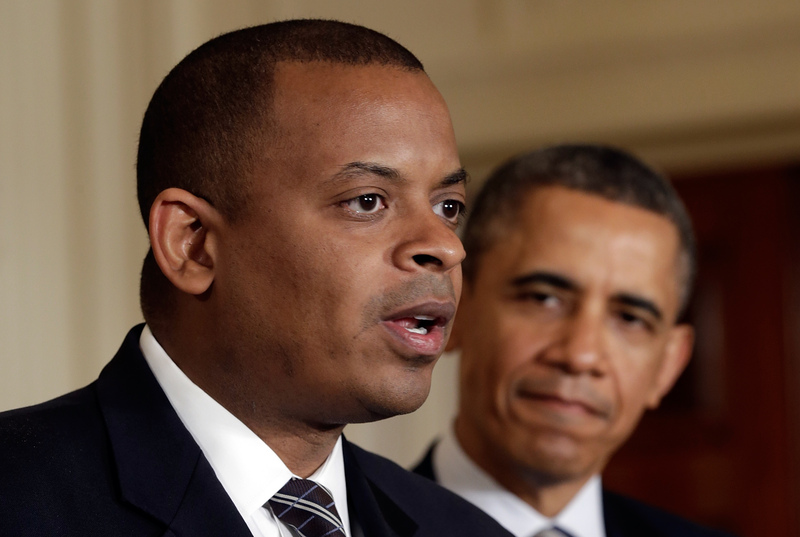 Lyft has hired Anthony Foxx, who served as President Barack Obama’s transportation secretary from 2013 to 2017, to lead its policy efforts. Foxx, who was formerly the mayor of Charlotte, North Carolina, is officially the chief policy officer and senior advisor to Lyft’s founders, Lyft President John Zimmer and Lyft CEO Logan Green. Transformations can happen quickly. Some take time. With so much talk about the growth of cities, the internet of things, the role of regulation in an era of rapid technological change, rising congestion and the need to open the doors of opportunity wider to all segments of the population, change is needed. I have spent much of my public life putting the building blocks in place for that transformation to occur. I see a future in which we get places safer, faster, smarter, cleaner and more connected to opportunity — and each other — than ever before. This future is within our grasp but it will not happen on its own. It will be the product of business and government working together. Because I believe the team at Lyft is best positioned to drive us in the right direction, I am proud to announce that I am joining their team today as Chief Policy Officer and Senior Advisor to the President and CEO. Last month, Lyft hit one billion rides shortly after the company made its official entrance into the scooter sharing space when it launched electric scooters in Denver, Colo. Lyft has since deployed its scooters in Santa Monica, Calif. as part of the city’s pilot program. Lyft’s entrance into scooters came close after its acquisition of bike-share company Motivate. Lyft’s entrance into additional modalities means a new, complex regulatory space. Cities are actively grappling with how they want to regulate bike-share and electric scooter sharing. In San Francisco, Lyft is reportedly battling the city to get its scooters on the streets after the city’s transportation department decided to grant permits only to Skip and Scoot. Perhaps having Foxx, who says he has “made decisions on issues affecting mobility — everything from zoning and land use, to capital budgeting, to street resurfacing, to transit,” on board can help. You can check out Foxx’s full Medium post here.